A game made in 8 hours for the Berlin Minijam, theme "You are the antagonist". This is one of those "personal game" thingies I've been hearing about. It's about a strange thing I've noticed in myself and a few others. Since you know yourself better than anyone else, it's possible you're much more aware of all the bad things you've done before. Sometimes this means when you're talking to people, you spend too much time worrying if they'll "catch on" to how bad you are. This game is about that. It's about meeting a fellow game dev at A MAZE. 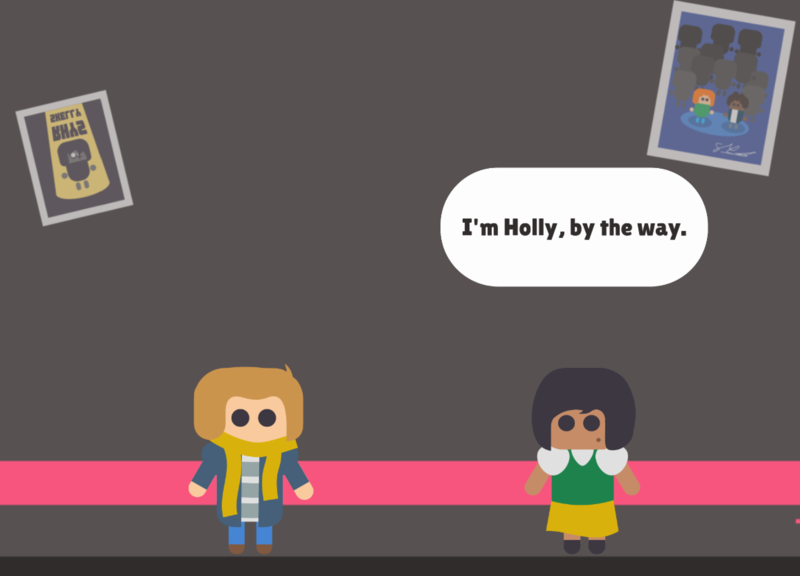 The conversation is not based on a particular conversation, and any resemblance the character Holly has to real people is pure coincidence. Sorry Hollies of the world. Left click on stuff to play.